Monocular is a small and simple telescope used to bring distant objects closer or magnify the subject nearby. Weighting less than half of binoculars with similar optical specifications, a monocular is easy to carry anywhere and everywhere as you can hide them discreetly into a pocket or purse. Helios manufactures high quality zoom monoculars that get you even closer to the subject and fixed magnification models in ergonomic shapes while Opticron offers a wide range of all purpose and all weather monoculars as well as gallery scopes for macro study of wildlife and art. The monoculars from Barr & Stroud provide a serious magnification and wider field of view perfect for hunting or observation of wild animals during safari. If you are looking for the highest quality, a stylish and compact monocular from Nikon is ideal. 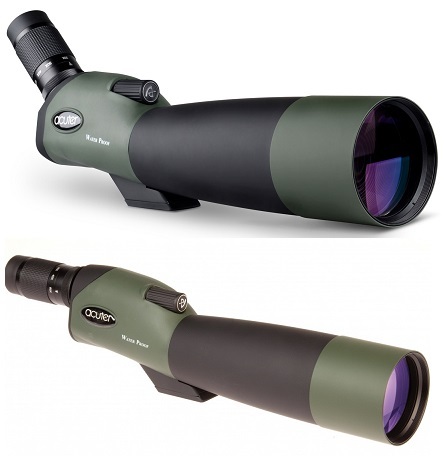 Acuter and VanGuard offer ranges of pocket sized monoculars with high magnification for general purpose viewing. A monocular is a versatile tools that can be used during a visit to a museum or sightseeing, for bird watching, close-up study of nature, hunting or general purposes like reading text on a chalkboard or projection screen.